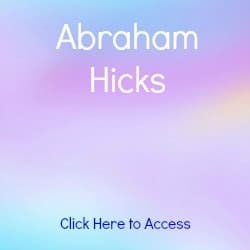 Abraham Hicks Publications are published by Hay House. Here you will find reviews on the most popular of their books. You can also read excerpts from these books. 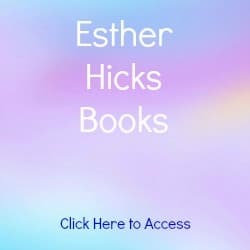 You may also enjoy Abraham Hicks quotes and teachings as well as learning more about Esther & Jerry Hicks. Click to read an excerpt from the Law of Attraction. In my very biased opinion, this is the best of all the Abraham Hicks books and it is no accident that The Law of Attraction: The Basics of the Teachings of Abraham falls first in the queue. Put simply, this book is an extraordinarily powerful, loving, life-giving book. As cliche as it sounds, be warned, it will change your life! Published by Hay House in 2006, it rapidly reached the New York Times bestseller list. This book presents the powerful basics of the original Teachings of Abraham. Within these pages, you'll learn how all things, wanted and unwanted, are brought to you by this most powerful law of the universe, the Law of Attraction (that which is like unto itself is drawn). You've most likely heard the saying "like attracts like," "birds of a feather flock together," or "it is done unto you as you believe" (a belief is only a thought you keep thinking). Although the Law of Attraction has been alluded to by some of the greatest teachers in history, it has never before been explained in as clear and practical terms as in this book by New York Times best-selling authors, Esther and Jerry Hicks. 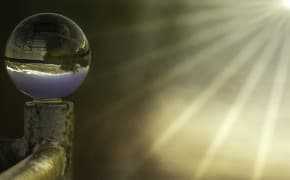 Learn here about the omnipresent Laws that govern this Universe and how to make them work to your advantage. The understanding that you'll achieve by reading this book will take all the guesswork out of daily living. You'll finally understand just about everything that's happening in your own life as well as in the lives of those you're interacting with. This book will help you to joyously be, do, or have anything that you desire! I own all of the Abraham Hicks books and this is my personal favorite. You will find more Law of Attraction T-Shirts like these in our clothing store. Click to read an excerpt from Ask & It Is Given. Arguably, Ask and It Is Given: Learning to Manifest Your Desires is the most sought after of all Abraham Hicks Publications. Published by Hay House in 2004, it was the first Abraham book to become an Amazon bestseller. It presents the teachings of the non-physical entity Abraham. It has drawn an extraordinary collection of endorsements from people keen to draw attention to the message that Abraham has to convey. Endorsements have been received from Neale Donald Walsch, John Gray, Wayne Dyer, Louise L. Hay, Jack Canfield and Christiane Northrup. This book explains how our relationships, health issues, finances and career concerns are influenced by the Universal laws governing our time/space reality. It describes powerful processes that will help people manifest their desires and live the fulfilling life they deserve. Neale Donald Walsch, author of the Conversations with God series has this to say about Ask and It Is Given ... "This is, plain and simply, one of the most powerful books I have ever read. One's entire life can change because of what is found here." Click to read an excerpt from Money and the Law of Attraction. In August 2008, Money, and the Law of Attraction: Learning to Attract Wealth, Health, and Happiness became the first of the Abraham Hicks books to reach the number one position on the New York Times bestseller list. 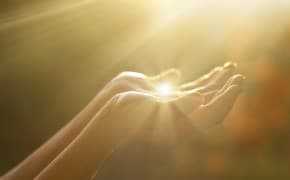 It explains that the two subjects most chronically affected by the powerful Law of Attraction are financial and physical well-being. This book shines a spotlight on each of the most significant aspects of your life experience and then guides you to the conscious creation of every aspect of your life. It also goes right to the heart of what most of you are probably troubled by: money and physical health, and has been written to deliberately align you with the most powerful law in the universe - the Law of Attraction - so that you can make it work specifically for you. Click to read an excerpt from The Astonishing Power of Emotions. The Astonishing Power of Emotions: Let Your Feelings Be Your Guide was published by Hay House in 2007 and soon became yet another New York Times bestselling book. It will help you understand the emotions that you've been experiencing all of your life. Instead of the out-of-control, knee-jerk reactions that most people have to their ever-changing life experience, this work will put those responses into a broader context. You'll come to understand what emotions are, what each of them means, and how to effectively utilize your new awareness of them. As you read, you'll come to appreciate, and make peace with, where you are right now, even though there is so much more that you may desire. Every thought you absorb will bring you to a greater understanding of your own worthiness﻿ and will show you how to open your own doors to whatever you may wish to be, do, or have. And as you turn the last page of this book, you will very likely find yourself thinking, I have always known this, but now, I know this! Click to read an excerpt from The Vortex. The Vortex: Where the Law of Attraction Assembles All Cooperative Relationships is the place in which you feel good about yourself. It is the place in which you are closest to 'Source'. 'Source' energy is like a vortex of good feelings, of liquid love, of peace and well-being, joy - everything that we naturally are. In the Vortex, like attracts like; so when you are feeling good, when you are positive, when you have faith in the goodness of the universe - then you will attract all you desire, including the ideal relationship! This book uncovers a myriad of false premises that are at the heart of every uncomfortable relationship issue, and guides you to a clear understanding of the powerful creative Vortex that has already assembled the relationship you have desired. Abraham will show you how to enter that Vortex, where you will rendezvous with everything and everyone you have been looking for. Click to read an excerpt from The Amazing Power of Deliberate Intent. 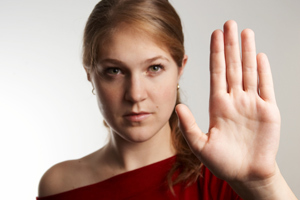 The Amazing Power of Deliberate Intent: Living the Art of Allowing was published by Hay House in 2005 and hit the New York Times bestseller list. It is about having a deliberate intent for whatever you want in life, while at the same time balancing your energy along the way. But it's important to note that the awareness of the need to balance your energy is much more significant than goal-setting or focusing on ultimate desires. And it is from this very important distinction that this work has come forth. As you come to understand and effectively practice the processes offered here, you will not only achieve your goals and desired outcomes more rapidly, but you'll enjoy every single step along the path even before their manifestation. As such, you'll find that the living of your life is an ongoing journey of joy, rather than a series of long dry spells between occasional moments of temporary satisfaction. Click to read an excerpt from Getting Into the Vortex: Guided Meditations. Read the introduction by Abraham from the book and CD. 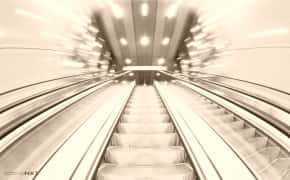 Learn more about Getting Into the Vortex. Getting Into The Vortex: Guided Meditations CD and User Guide shows that living a better-feeling life really comes down to one thing only: coming into alignment with the Energy of our Source. Abraham reminds us that we are truly Source Energy focused into our physical bodies, and that a conscious connection to that broader non-physical part of us is necessary if we are to be the joyful beings that we were born to be. 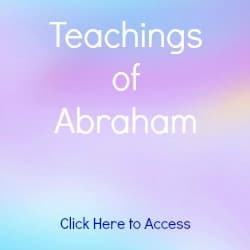 Abraham calls that wonderful alignment Getting into the Vortex. Everything - from the physical well-being of our bodies, the clarity of our minds, and the abundance we allow to flow, to the satisfaction in every relationship we experience - is affected by our all-important relationship with our Vortex. This CD recording contains four powerfully guided daily meditations that have been designed to get you into the Vortex of Creation in four basic areas of your life: general well-being, financial well-being, physical well-being and relationships. Watch this 4 minute video of Jerry and Esther introducing this product. Click to read an excerpt from Manifest Your Desires. Manifest Your Desires: 365 Ways to Make Your Dreams a Reality assists you in learning how to manifest your desires so that you're living the joyous and fulfilling life you deserve. Each day, you'll come to understand how your relationships, health issues, finances, career concerns, and more are influenced by the Universal laws that govern your time-space reality. It helps you discover powerful processes that will help you go with the positive flow of life. Click to read an excerpt from Sara Book 1. Sara, Book 1: Sara Learns the Secret about the Law of Attraction is a thoughtful and inspired formula for generating appreciation, happiness, and good feelings - deftly blended into the uplifting story of a plucky, inquisitive girl named Sara; and her teacher, an ethereal owl named Solomon. There's something in Sara for any child, adult, or teen pursuing joy and meaning...and searching for answers about life, death, and the desires of the heart. It's filled with techniques and processes for making one's dreams come true. Click to read an excerpt from Sara Book 2. Sara, Book 2: Solomon's Fine Featherless Friends follows on from "Sara", Book 1. Solomon (the owl from the first book who "speaks without moving his lips") reappears and gives Sara and her classmate Seth a fresh and enlightening perspective on life on this planet. These two adventurous, tree-climbing friends dialogue with their ethereal feathered mentor regarding their varied experiences with parents, teachers, other students, neighbors, and property owners. The clarity, understanding, and wisdom that Solomon gives them results in practical views on the rules of the game of life. Click to read an excerpt from Sara Book 3. Sara, Book 3: A Talking Owl Is Worth a Thousand Words follows on from "Sara", Book 2. Sara has a hard time understanding why Seth wants to befriend the new girl in town and even share their secrets of Thacker's Trail. Even Solomon's reassuring words don't soothe Sara. But Sara discovers that not only does Annette's presence not detract from her joyful experience, but that it adds to it in many more ways than she could have imagined. The secrets of Thacker's Trail are known by more than Sara knew, and it turns out that Sara doesn't mind sharing her secrets as much as she at first believed. Life just gets better and better for these extraordinary young people. And yours will, too, as you read their stories. Click to purchase Sara, Book 3: A Talking Owl Is Worth a Thousand Words! An option prior to purchasing these books, or any book for that matter, is to do a search at your local library. 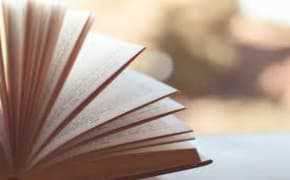 If they hold the book you are interested in, borrow it for a while and if you really love it then you can purchase it. It's a fantastic and FREE way to try before you buy! Abraham Hicks publications run a series of workshops and cruises throughout the United States and abroad. If you're unable to make it to the venue, the majority of workshops are available online so you can join in the fun from wherever you are in the world. You can learn more about Abraham Hicks Publications through their books, quotes and teachings.